First runners off at 10am and continues all day. Whether you’re up for entering this epic challenge or you would prefer to shout your support from a distance, don’t miss this beast of an obstacle race. The beautiful shores of Loch Ness will witness a 10K race like never before, covering some of the most challenging Scottish terrain. With new mega obstacles added for 2017, it’s sure to provide a memorable occasion for everyone brave enough to take part and an amusing spectacle for those cheering on the brave souls. Just a few of the obstacles include in this year’s Loch Ness Beast Race; BALE OUT; MUD SUCKER; FACE FULL; LEG SCREAMER; ANKLE BITER; BEAST TRAP and so on.. No prizes for guessing what’s involved! 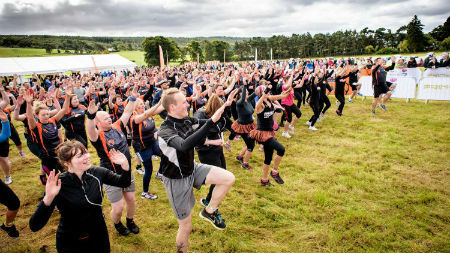 Whether you’re taking part, or planning what to do and see during your stay in Loch Ness, you’ll want to make sure you’ve got somewhere to put your feet up at the end of an exciting day. Our collection of Loch Ness hotels, offer a range of accommodation and dining options and are all ideally located on and near Loch Ness.